Yarra Valley, Croydon, Bayswater, Boronia, Ferntree Gully, Knoxfield, Lysterfield, Rowville, Scoresby, The Basin, Wantirna, Bayswater North, Heathmont, Kilsyth, Warranwood, Ringwood, Lilydale, Mooroolbark & surrounding suburbs. 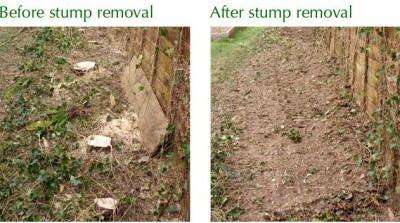 Suburban Skips is a locally owned family operated skip bin hire and rubbish removal business with a reputation for low prices and excellent customer service. Based in Kilsyth our skip bin hire and rubbish removal service extends to all suburbs east of the Melbourne CBD right out to the Yarra Valley. We work Monday to Saturday and no job is too small. For a free quote or to book a skip bin or rubbish removal please call Sam on 0418 55 99 49 or 03 9761 9499. With years of experience and using the latest equipment James and the team from Barwon Hire have become the “go to guys” for many Geelong homeowners, businesses, strata managers, builders and handymen. For an obligation free quote anywhere in Geelong and surrounding districts please call Barwon Hire on (0416) 971 901 or use the handy online contact form. Mount Duneed, Moriac, Newcomb, Drysdale, Connewarre, Newtown,Lara, Hamlyn Heights, Herne Hill, Bell Park, Norlane, Lovely Banks, Jan Juc, Bell Post Hill, St Albans Park, Clifton Springs, Curlewis, Freshwater Creek, Armstrong Creek, Corio, Highton, Portarlington, Torquay, Grovedale, Grovedale, Waurn Ponds, Marshall, Batesford & Leopold. Absolute Demolition Asbestos Removal Melbourne are the people to call when you need Asbestos removed safely from any sized building be it a backyard shed or a multi-storey construction. With over 17 years experience and full WorkSafe compliance & accreditation Absolute Demolition have the equipment, manpower and expertise to tackle any Asbestos Removal work big or small. In recent years Asbestos has been proven to be one of the most dangerous building materials in the world. It came to prominence in the 1940’s as the ideal building material due to its resistance to fire and the ease in which it was able to be moulded and used in a vast array of building applications including walls, roofs and external cladding. Asbestos also used in a “spray” form to fireproof steel girders by spraying them with asbestos fibre. 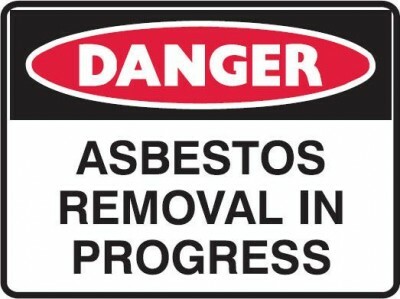 In 1986 all building materials containing Asbestos were banned and by December 2003 any product containing asbestos was banned from Australia. Unfortunately the period from 1940 to 1986 is also the period which saw the biggest rise in buildings in Australia. The post war years especially saw an unprecedented number of houses and commercial buildings erected in Melbourne. And yes, you guessed it, most if not all of these buildings contain Asbestos. Asbestos Removal is a VERY specialised procedure. It should ONLY be undertaken by trained and accredited professionals using approved methods to not only ensure the safe removal of the asbestos but also ensure the safety of the workers and those people in the vicinity of the asbestos removal job. Absolute Demolition will come to your premises and expertly assess the extent of the asbestos to be removed and provide you with an obligation free quote to carry out the job. Every part of the Asbestos Removal process is in keeping with Best Practices as laid down by WorkSafe Victoria and leading industry bodies. The removed material is then disposed of at an approved disposal site and a receipt is issued to certify that it was disposed of correctly. For more information or a free quote contact Absolute Demolition on (03) 9369 3766 (03) 9369 3766 or (0400) 662 354 (0400) 662 354. Household Rubbish, Furniture, Floor Coverings, Builders Waste, Green & Garden Rubbish, Deceased Estate Clear-Outs, Renovation Leftovers, Old Roofing Material, Cardboard & Paper, Garage & Cellar Clean-Outs. Golden Square, Kangaroo Flat, Maiden Gully, Marong, Lockwood, Newbridge, Maldon, Castlemaine, Heathcote, Harcourt, Axedale, Bridgewater, Eaglehawk, Epsom, California Gully, Flora Hill, Strathfieldsaye, Strathdale, Spring Gully, Eppalock, Emu Creek, White Hills, Long Gully, Elmore & Specimen Hill. Bendigo, Golden Square, Kangaroo Flat, Maiden Gully, Marong, Lockwood, Newbridge, Maldon, Castlemaine, Heathcote, Harcourt, Axedale, Bridgewater, Eaglehawk, Epsom, California Gully, Flora Hill, Strathfieldsaye, Strathdale, Spring Gully, Eppalock, Emu Creek, White Hills, Long Gully, Elmore, Specimen Hill. Domestic, Commercial & Industrial Skip Bins & Bin Hire 2.5 to 10 cubic metre capacity Melbourne Western Suburbs 7 Days a Week (03) 9398 5283. Altona, Footscray, Altona Meadows, Seabrook, Laverton, Deer Park, Hoppers Crossing, Williams Landing, Albion, Braybrook, Kingsville, Ascot Vale, Moonee Ponds, Newport, Seddon, Yarraville, Sunshine, Tottenham, Sunshine West, Brooklyn, Werribee. With over 20 years experience Western Suburbs Bin Hire Melbourne have become very well known with home owners, builders and businesses for their prompt courteous service and low prices. Their range of skip bins and bin hire cater for almost all applications with sizes from 2.5 cubic metres right up to 10 cubic metres. They also provide “walk in skip bins” with the added advantage of being able to wheel your wheel barrow straight into the skip bin. 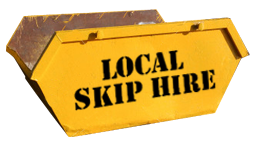 For a FREE Skip Bin / Bin Hire Quote call Gary Morgan on (03)-9398-5283 or (0418)-319-252 seven days a week. Servicing Melbourne’s Western Suburbs Including: Altona, Footscray, Altona Meadows, Seabrook, Laverton, Deer Park, Hoppers Crossing, Williams Landing, Albion, Braybrook, Kingsville, Ascot Vale, Moonee Ponds, Newport, Seddon, Yarraville, Sunshine, Tottenham, Sunshine West, Brooklyn, Werribee.